Three Moroccans and one Spaniard have been detained in relation to the Catalonia attacks that killed 14 people and injured some 130, police said, adding that the suspects were preparing an even bigger assault. Authorities have yet to identify the driver of the van in the Barcelona attack, Catalan regional police official Josep Lluis Trapero said during a press conference. “None of the four detainees arrested [following] the Cambrils and #Barcelona attacks had a history of terrorism-related offenses,” Catalan police tweeted. The detained suspects were preparing a bigger attack, according to police. “They were preparing one or several attacks in Barcelona and an explosion in Alcanar stopped this as they no longer had the material they needed to commit attacks of an even bigger scope,” said Trapero said, as cited by AFP. Police said they are investigating if the terrorists had been being planning the attacks for some time. "We work with the hypothesis that the suspects were preparing both attacks for some time in this building of Alcanar. It was a group, we do not know the specific number, but we do not rule out having other attacks in mind. They are all identified,” he said. 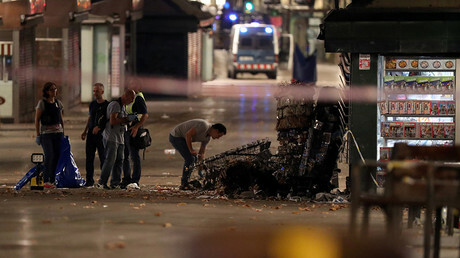 Earlier, police said that an explosion on Wednesday night in the Catalan town of Alcanar is believed to be linked to the Las Ramblas attack in Barcelona. Initially, police presumed it was a gas leak that caused the destruction of a house, which led to at least one death and several injuries. “It was clearly a terror attack, intended to kill as many people as possible,” Trapero, said. 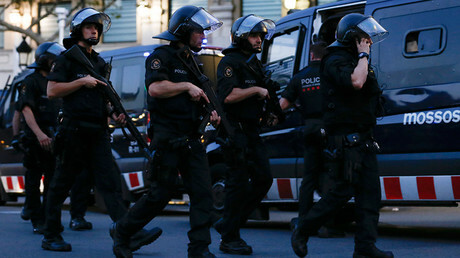 At least one of the suspects was arrested in the town of Ripoll, police said earlier. “There could be more people in Ripoll connected to the group,'' regional Interior Ministry chief Joaquim Forn told TV3 television, as cited by AP. He added that “a numerous group” could be behind the attack, in an interview to Onda Cero radio. At least 14 people have been killed and some 130 injured in separate attacks in Barcelona and the nearby coastal town of Cambrils. In both incidents the suspects deployed vehicles to mow down pedestrians. 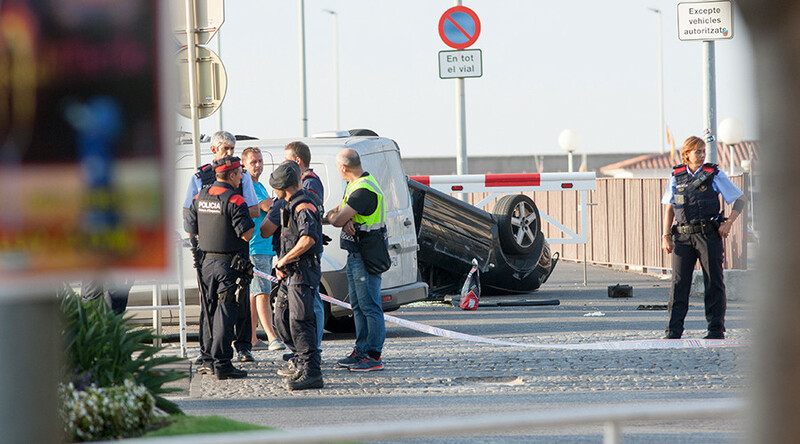 A single police officer shot dead four terrorists during the Cambrils attack in which a car plowed into a crowd, Trapero said. He said that it was “not easy” for the officer. In the first incident on Thursday afternoon, the driver of a white van struck a group of pedestrians in the famous Las Ramblas boulevard in Barcelona city center, killing 13 people and injuring over 100. The second incident took place in the early hours of Friday in Cambrils, 100km from Barcelona, injuring at least six people. One of them, a woman, later succumbed to her injuries in a local hospital. The Cambrils terrorist suspects were killed by police during a standoff, and were carrying an ax and knives in their vehicle, police said, adding that they were wearing fake suicide belts.